LONDON (Reuters) - Welsh singer Tom Jones, 78, has been taken to hospital with a bacterial infection, forcing him to cancel shows in Britain. Jones, whose hits include "It's Not Unusual" and "Delilah", apologized to fans on his Twitter feed. 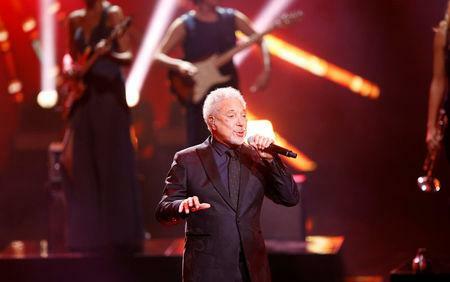 "Sir Tom Jones has a bacterial infection for which he is being treated in hospital. The condition is being well managed and we are hoping for a speedy recovery," a statement said. "He is extremely sorry and disappointed not to be able to perform tonight." The singer said he was planning to continue the UK tour in August. Last September, Jones, who is also a judge on ITV's "The Voice UK," postponed a U.S. tour five days before it was scheduled to start on medical grounds, later saying he had been undergoing a hip replacement.